Lucara Diamond Corp. (TSX:LUC) announced Monday it extracted a 239.2 carat diamond in Botswana. The Karowe mine, in the central district of the southern African country, also produced two more large stones weighing 124 and 71.1 carats. 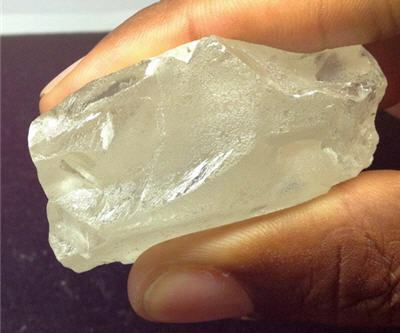 Lucara's CEO said in a written statement the 239 carat raw stone is one of the largest diamonds ever to have been recovered from the Orapa kimberlite field in more than 40 years. He also noted the mine has confirmed it contains fancy-coloured blue diamonds, some of the most valuable and sought-after gems. The three raw stones will be sent to Belgium to be studied and then sold later in the year. Christie's is set to hold a multi-million-dollar auction in May for one of the world's biggest diamonds, which weighed 236 carats when it was originally extricated.